This is a listing for one (1) RARE find. 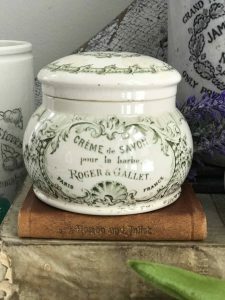 Roger & Gallet, Creme de Savon, Shaving cream produced in Paris, France. 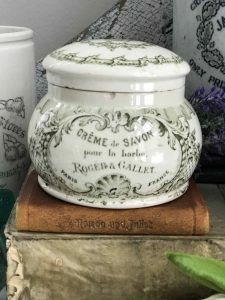 A very early French Advertising Pot and lid with beautiful detailed transfer dates c. 1889. 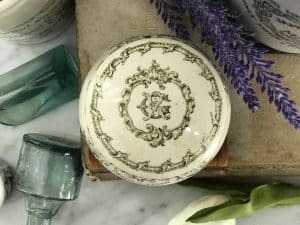 This rare pot features beautiful green transfer around the entire pot as well as the top of the lid. 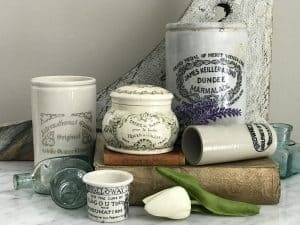 A darling and rare addition to your Antique Advertising Pot collection. 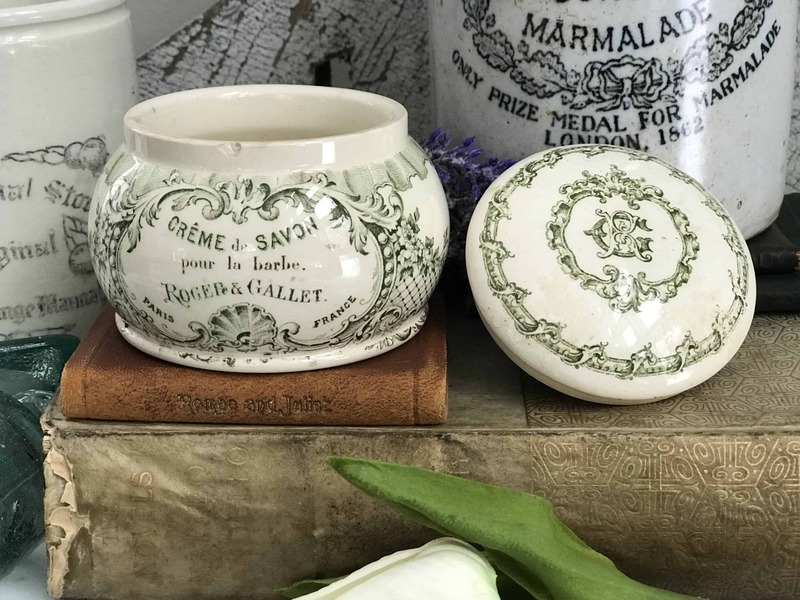 Pot is in excellent condition with only a minor fleabite to the top rim. 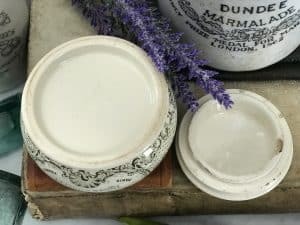 Lid also is in great condition with dark transfer and a small chip to the underside. This piece displays beautifully. Please consider the images as the best part of my description. Roger & Gallet, is a French company dating from 1862.